It’s fair to say that the reaction to an incident involving Tyrone Mings and Nelson Oliveira has divided opinion amongst supporters across the world. The Aston Villa defender was making his debut for Dean Smith’s side after arriving on loan from Bournemouth on deadline day, but he made the headlines for all the wrong reasons at the weekend. 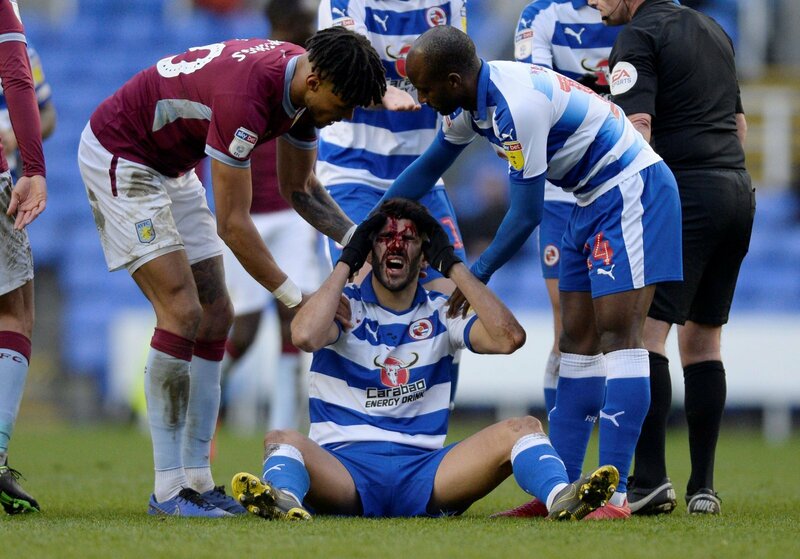 After tangling with Reading striker, Nelson Oliveira, Mings seemed to stamp on the Portuguese striker’s head which left him with some nasty-looking injuries to his face. Now I’ll be the first to admit that the incident would have been difficult for referee, Geoff Eltringham to see in the heat of the moment. But instead of playing on or awarding Reading the free-kick, he opted to give Mings the benefit of the doubt and give Aston Villa the free-kick. Oliveira has since undergone surgery to treat the injuries, which are likely to leave him with notable scarring to his face. The FA and the EFL were looking into the incident, but Reading have revealed that it’s unlikely they will punish Mings, due to the referee acknowledging the incident at the time. This quite simply is a farcical stance to take. Mings has previous with this sort of incident, after having been suspended for stamping on Zlatan Ibrahimovic’s head in recent years. But you have to ask the question, would this incident have gone unpunished if Mings had committed the offence in the Premier League, where VAR is currently present. The referee had an extremely poor game on the day at the Madejski Stadium and lost control of it very early on which set the tone for the remainder of the game. It remains to be seen as to whether the FA will look into the incident in more detail with a public backlash likely to occur following the recent statement. Mings should be punished for the incident to prevent further similar incidents occurring in the future.